Called up the Yamaha Bike Station at MGF Mall Saket, Delhi today to get the final price tag of the R15, and what an astounding price tag I got!! The delivery would be made within 10-15 days from the time of full payement as there is heavy booking of the bike right now!!! 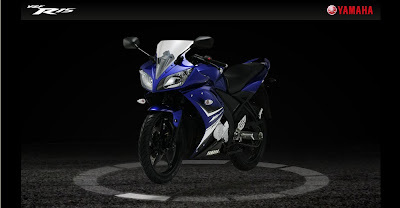 Also in my last post, I stated that as per Badlia Yamaha, there are two variants of the bike that would be available and there would be a price difference of 20k-25k between the variant. However, today Yamaha Bike Station confirmed that it's not the case. There are two colors variants that are avialable - Sporty Blue and Night Black and both of them cost the same.